The latest tricks and tips to improve mobile app conversion through growth hacking, brought to you by Digital Marketing expert, Akil Malek. Akil Malek is a digital marketer for one of the top mobile app development companies, Peerbits. With years of experience in digital marketing, Akil shares his expert knowledge of mobile technology and mobile app development with us in this guest post on mobile growth hacking. The term ‘Growth Hacking’ may sound scary at first. No doubt you’re now musing on breaking into government databases and leaking those secret codes, right? But, before you go and judge a hacker by his cover, let me tell you that it’s not just an etymology driven term, but a unique idea that could really drive your mobile app conversion. Growth hacking intends to provide creative, innovative solutions to replace traditional methods, often in environments of limited resources. It encompasses everything to do with exploring and employing exceptional ways of making the most out of a business. The phenomenon has hit mobile app development, making the rounds to improve mobile solutions. In fact, one of the most effective ways to leverage mobile growth hacking is by improving the mobile app development process. Mobile app development is crucial for the mobile growth of business. Some of the best mobile app development companies are already redefining their business solutions by offering mobility as mobile growth hacks. Though a relatively new concept, mobile growth hacking deals with a variety of complex areas. For example, expanding a mailing list and number of social media followers. Deviating from paid search marketing via social media and search ads, the ultimate mobile growth hacks help businesses create mobility solutions. A skilled mobile growth hacker offers something so unique to users that they’re left feeling amazed. Video-driven news and entertainment portal Circa has created an app that does just this. It prpvides an in-app text sharing service for users, so that they can simply copy and paste in-app text to share with other users. This allows users to receive the text with a download link. In this way, users have a helpful reference of what they’ve shared while their friends are able to easily view and interact with the shared information. Circa has since been relaunched by the Sinclair Broadcast Group around a year ago. Here are three of the most effective techniques that focus on boosting your business with mobile app downloads. Moving away from traditional marketing methods, mobile growth hackers need to achieve two marketing approaches: retention and referral. Both play a vital role in making the most out of an app. Sarah Perez’s Techcrunch article confirms that almost 38% of app conversions are a result of word of mouth. It is imperative to retain users in order to convert them into loyal customers, this much we already know. Focusing on the user’s benefit and attending to their needs will help your business gain their trust. When there is trust, it’s easier to generate revenue from the same pipeline. But what’s the next step? One of the great advantages of the mobile app is that it ensures that your business is constantly connected with users. For mobile growth hacking to work effectively, it’s essential that customer solutions are provided on time so that users are reassured that the business is providing a readily available problem solving service. Apart from the conversion, one of the most important things is to keep the conversation going and for that, push notifications can be a great help. Rather than having a marketing tone, it’s often better to try a friendlier, informal tone. After all, empathy is essential to a great user experience. For example, there’s a beautiful health and fitness app called ‘Lark’ that works wonders with push notifications. 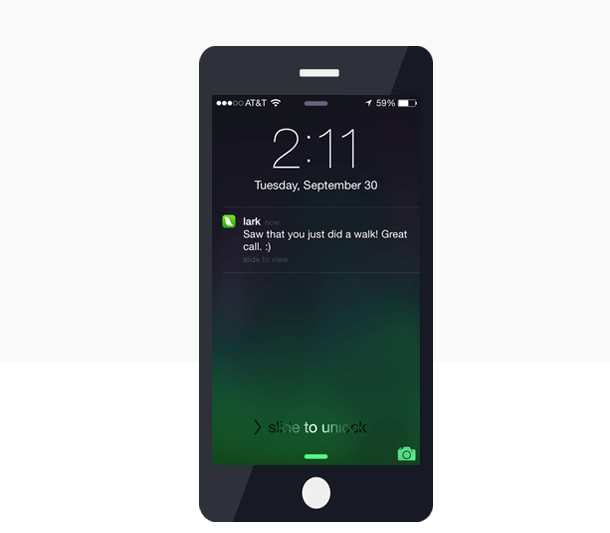 Lark’s friendly manner will encourage users to get a conversation going and to keep it flowing. Users love it when premium products are offered for free. Tapping into today’s market requirement to build for real users, integrating a referral system is a great idea. But the story doesn’t end here. The user will not be given premium services for free, instead, they’ll be prompted to invite their friends. Asking existing users to refer business services to others is a very effective way of building a greater customer base, with efficiency and speed. For example, Hulu offers a free two-week trial and Adore Me offers a whopping $15 credit for every conversion referral. But that’s not all. There’s one other hack technique that can ensure maximum conversion rates: offering incentives to both the referrers and the referee. 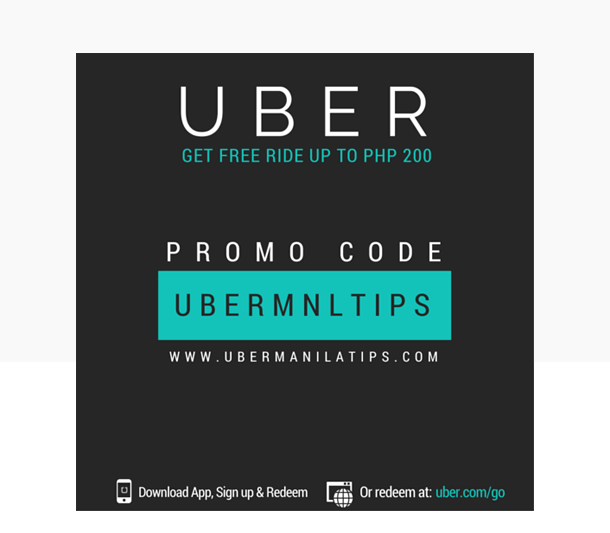 Uber is a great example of a referral system where $10 worth of credit is offered to both the referrer and the referee users. Mobile growth hacks are bound to generate effective results when aligned with other marketing strategies. These techniques will prompt users to get ahold of your mobile app and ultimately enable your business to generate more downloads and installations. The best way to expand mobile business is by offering users not only what they expect but also things that they hadn’t even imagined. Plenty of strategy goes into mobile growth hacks, but the above techniques are definitely also worth a look!